Graham Hay is a Western Australian artist. For over two decades his independent artistic practice has investigated, engaged with, and illustrated the social foundations of the arts. Rather than speculate on what art is, it is a critical ethnography approach, built upon tertiary training and 20 years of independent artistic practice. His signature style is tall, exquisitely delicate sculptures made from thousands of ceramic paperclay parts. He is also known for a temporary 4 tonne spiral of paper in the foyer of the High Court in Canberra, and the towering faces made from thousands of ceramic iPhones at the 2015 Cottesloe Sculpture by the Sea. On a shoestring budget, Hay has quietly building a reputation as a talented expert in the emerging medium of paperclay: leading international conferences and exhibiting in a dozen countries. Over the last five years he has been invited to exhibit in five smaller international biennale, winning the ceramic prize at a Biennial, in Buenos Aires, Argentina, in 2016. Graham is known and respected within the local WA arts community. For over two decade he has generously shared his experiences and discoveries via 200 pages of free information on his website. 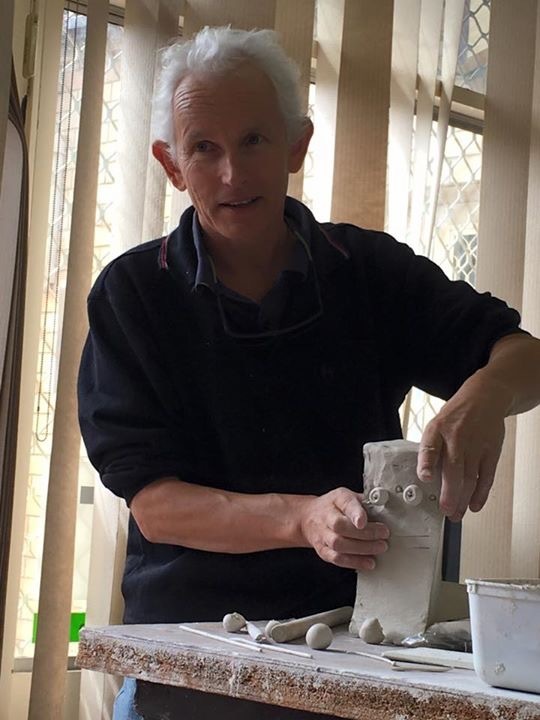 He is the unpaid coordinator of the Robertson Park Artists Studio in Northbridge, mentors emerging artists within the studio and his studio classes. He quietly supports arts students within the nearby Paper Mountain, and has contributed to the ECU alumni mentoring program. Ship, exhibit and then give away my sculpture made up of ceramic porcelain flutes to 10,000 people at the 2017 Venice Biennale, for them to drink Prosecco out of, all while promoting WA artists to an international audience.